I HAVE ZERO virtual-reality skills. I don’t know how to work in Unity, the graphics software engine often used to make immersive worlds. I have little sense for 3-D design. But I have a secret weapon: A-Frame, an easy-to-use language released by Mozilla last winter. Based on HTML, it lets anyone quickly type commands that place blocks, spheres, and other shapes into a 3-D scene. After an hour of tinkering, I had built a kooky, spinning sculpture, put it online, and was ogling it in Google Cardboard. It was super ugly and basically useless. But it was mine! DIY virtual reality has arrived—and things are about to get very interesting in this strange new medium. For years, VR has been hard to create, so only techies could make it. That’s fine. They’ve made cool things! But when people reasonably ask what VR is good for, media professionals struggle to answer. They’re trying to figure that out—often by porting existing genres, like videogames and journalism, into headsets. But if you really want to explode the possibilities of a mode of communication, you have to make it easier for amateurs to get in. There are more of them, and they have the time to try crazy stuff. When scientists and researchers created the web, many of them figured it would be for formal, professional communication. Then GeoCities came along, and everyday people barged online—creating sites for bands and fan fiction and diaries. They paved the path for blogging. 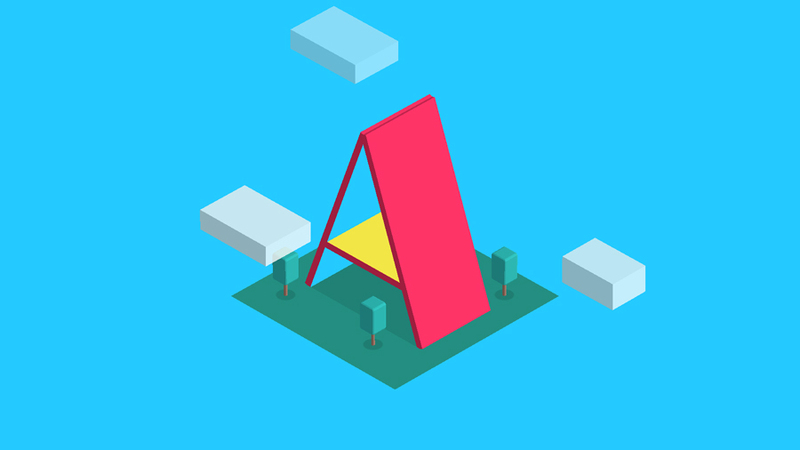 Mozilla created A-Frame to bring just that kind of experimentation to VR. “The internet’s messy,” says Mozilla design engineer Casey Yee. He means it as a compliment. The people who made internet content and the people who consumed it were the same, and that opened a space for breeding new ideas. More tools for noobs are coming. An app called Tilt Brush (bought by Google) lets you paint in the air while wearing a Vive headset. Philip Rosedale, the inventor of Second Life, is making server software so you can invite friends into a VR world you’ve built. Mundane ones, too. Cody Brown, an entrepreneur who holds VR events in New York, used Tilt Brush to draw a Father’s Day card for his dad: red-white-and-blue words written like graffiti in the air, with snowflakes drifting down around them. “He liked it a lot,” Brown says, and I can see why. There’s something affecting and wonderful about making a personalized virtual reality for someone. Let’s be clear: Most of the VR created by everyday people will be hideous. Geo­Cities sites groaned under the baroque cruft of overexcited amateur designers, all “blink” tags and spinning icons. But down in the muck is also where ferment happens. I suspect people will hit upon odd VR-specific memes, new ways of making jokes, of being crude and idiotic, of talking to (and at, and past) one another. The hits will be things no one—especially not the inventors—can predict. Release the infinite monkeys into VR, and in not too long, someone’s going to pound out some Shakespeare.